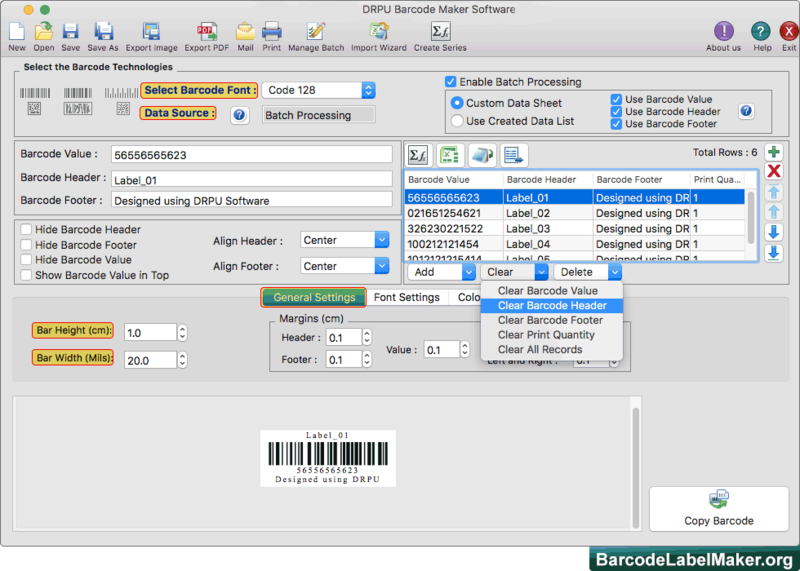 MAC Barcode Generator Software is a specialized tool to create barcode labels using popularly used Linear and 2d barcode font standards. Barcode software works on all Apple Mac OS installed machines and aids in the process to fabricate customized barcodes having versatile features. Barcode generator program is facilitated with barcode sequence generating functions which helps to build bulk numbers of barcodes beneficial in various commercial processes. Barcode system is structured with barcode label printing software which offers printing options along with print preview functionality which prevents from further printing errors. Create barcode label by filling different barcode settings such as barcode font, barcode value, header, footer, alignment settings, general settings, font settings and color settings. Generate colorful barcode labels by using color settings. You can select or set the color of barcode header, footer, barcode value, barcode, and barcode background. 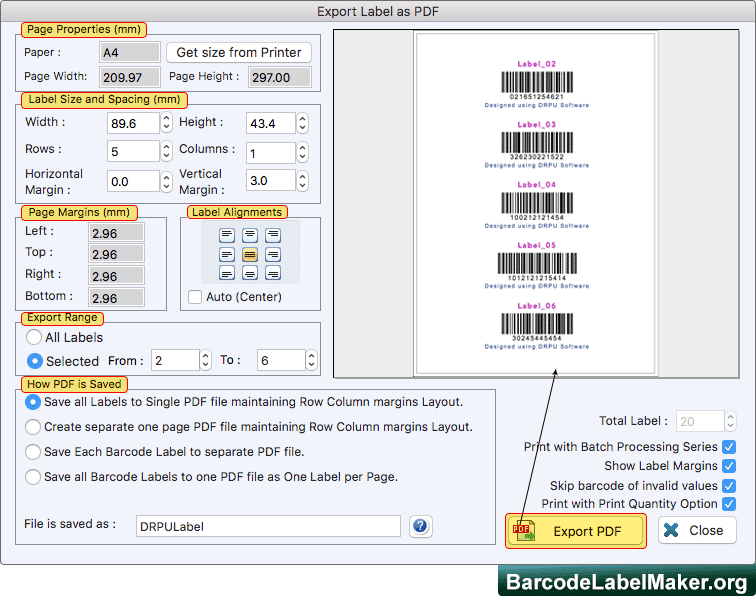 Software has Export PDF facility to save or export designed barcode labels in PDF file format. 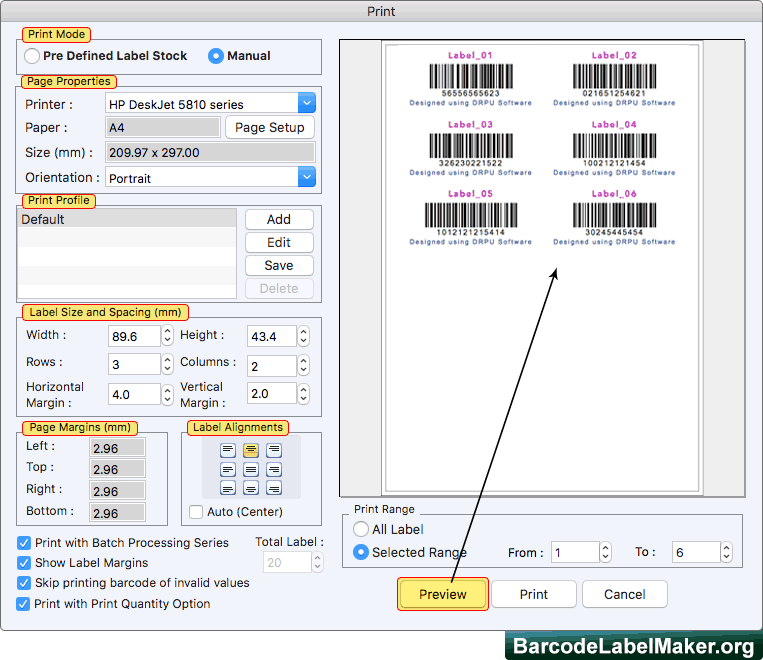 To print created barcode labels, set various print settings and click on Print button. To see the print preview of barcode labels, click on 'Preview' option. Supports Linear and 2d barcode font standards. Sequential, Constant or Random lists generating options helps to create bulk industrial specific bulk barcode labels. Multi copies of the same barcode label can be printed on a single page. Using email settings, you can send created barcode labels to single or multiple email IDs. 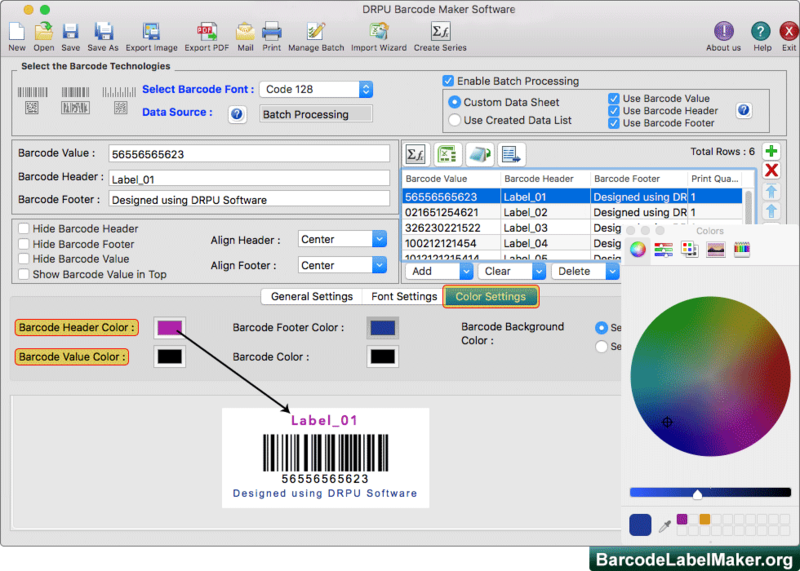 Barcode label maker software offers easily modifiable font and color setting options to create barcodes. Works well with all common Apple Mac OS compatible barcode printers and scanners.